6. 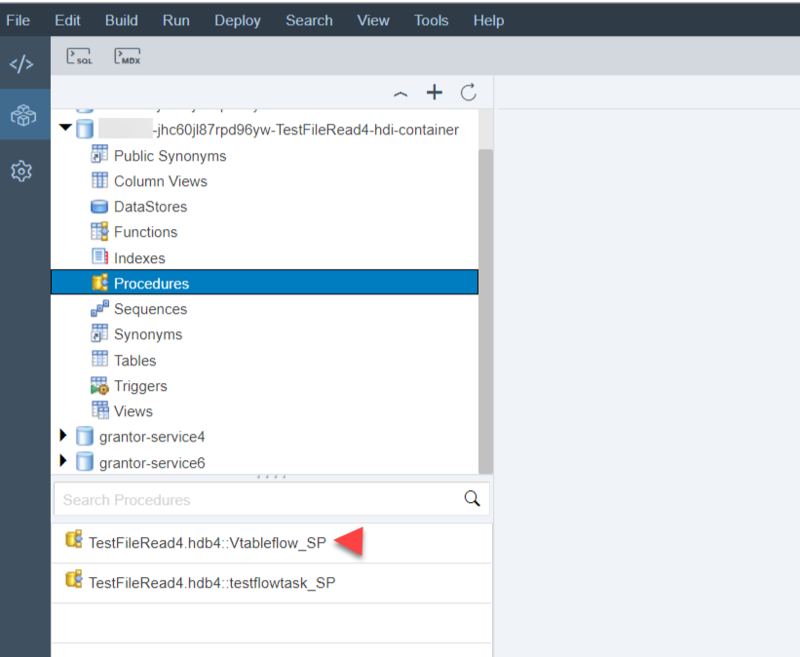 Now , data is in vtable but it is not loaded to testtemptarget table. For this to happen , we can either follow any one of the following. 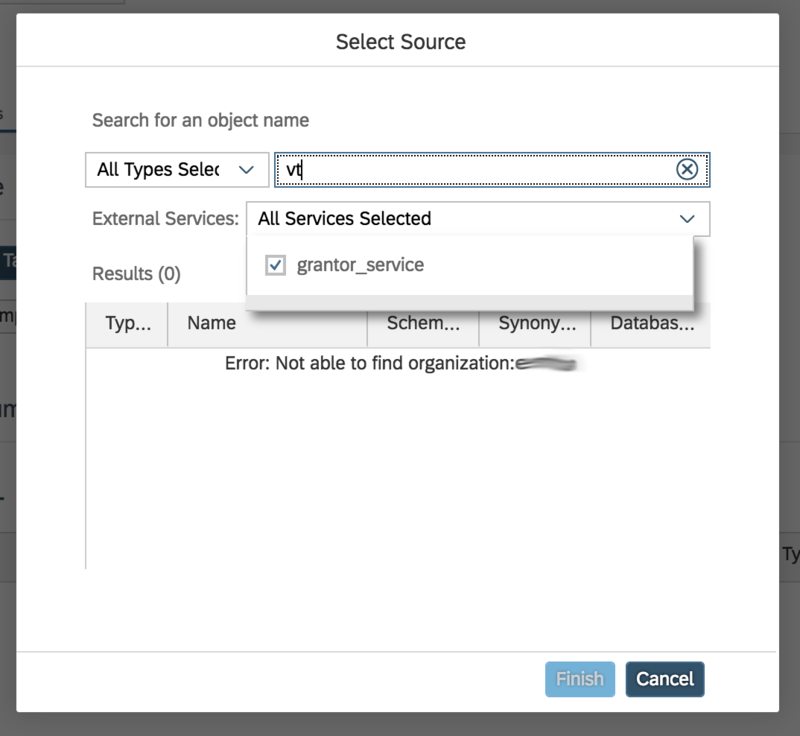 So , now we have successfully loaded the data from Flat File Remote Source into HANA Tables via Virtual Table in HANA 2.0 using WEB IDE . I hope these posts were useful and enjoyable to you. Thanks Jairaj,step wise Information with Snapshot helped! Nice to hear that Ashish! Nice blog, I don’t see option to create File as a Target in flowgraph, do you know if there is an option? Are you asking can we write data to a File using Flowgraph ? 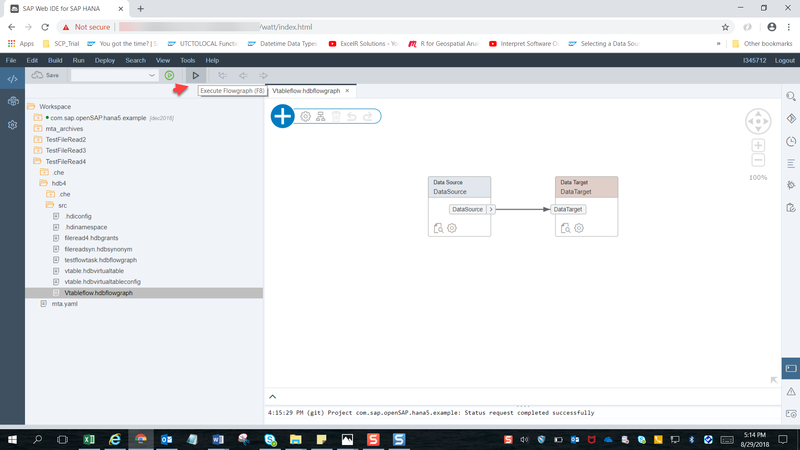 Currenty the target for Flowgraph is a HANA table (which you have already created) or it can be a Temporary Table (which the system will create on the fly.). We cant write the output to File using a Flowgraph. Thanks for the great post. We are creating the flowgraph for importing data from a FileAdapter. We could create the Virtual table following the previous blog post 2. However, when creating the Flowgraph, the Virtual table object doesn’t show up for a Data Source. I have described it in detail as a question here. Looks like issue with User provided service. Try to create Synonym and see if you can see tables.